Discussion in 'Fame & Infamy' started by Doctor Omega, Feb 2, 2018. US police investigating the mysterious death of film star Natalie Wood say her husband Robert Wagner is now a person of interest. Investigators in Los Angeles say Wagner has "constantly changed his story", adding that his version of events does not "add up". Wood was found drowned in 1981 during a California boat trip with Wagner and the actor Christopher Walken. Her death was ruled to have been an accident but questions have lingered. "As we've investigated the case over the last six years, I think [Wagner] is more of a person of interest now," Lt John Corina of the Los Angeles County Sheriff's office told CBS News. "We know now that he was the last person to be with Natalie before she disappeared," he said. "I haven't seen him tell the details that match all the other witnesses in this case". "I think he's constantly changed his story a little bit. And his version of events just don't add up," Lt Corina added. During the making of the film Brainstorm, Wood drowned while on a weekend boat trip to Santa Catalina Island on board the Splendour. Many of the circumstances surrounding her drowning are unknown; it was never determined how she entered the water. She was with her husband Robert Wagner, Brainstorm co-star Christopher Walken, and the Splendour's captain, Dennis Davern, on the evening of November 28, 1981. Wood's body was recovered by authorities at 8:00 a.m. on November 29, one mile away from the boat, with a small inflatable dinghy, named the Valiant, found beached nearby. According to Wagner, when he went to bed, Wood was not there. The autopsy report revealed that Wood had bruises on her body and arms as well as an abrasion on her left cheek. Later, in his memoir Pieces of My Heart, Wagner acknowledged that he had an argument with Wood before she disappeared. The autopsy found that Wood's blood alcohol level was 0.14%, and there were traces of two types of medication in her bloodstream: a motion-sickness pill and a painkiller, both of which increase the effects of alcohol. Following his investigation, Los Angeles County coroner Thomas Noguchiruled her death an accident by drowning and hypothermia. According to Noguchi, Wood had been drinking and she may have slipped while trying to re-board the dinghy. Wood was buried in Westwood Village Memorial Park Cemetery in Los Angeles. Scores of representatives of international media, photographers, and members of the public tried to attend Wood's funeral; however, all were required to remain outside the cemetery walls. Among the celebrity attendees were Frank Sinatra, Elizabeth Taylor, Fred Astaire, Rock Hudson, David Niven, Gregory Peck, Gene Kelly, Elia Kazan and Laurence Olivier. Olivier flew from London to Los Angeles in order to attend the service. After a 30-year hiatus, the case was reopened in November 2011 after the captain of the boat, Dennis Davern, publicly stated that he had lied to police during the initial investigation and that Wood and Wagner had an argument that evening. He alleged that Wagner was responsible for her death. After nine months of further investigation, Los Angeles County Chief Medical Examiner Dr. Lakshmanan Sathyavagiswaran amended Wood's death certificate and changed the cause of her death from accidental drowning to "drowning and other undetermined factors." The amended document included a statement that the circumstances of how Wood ended up in the water are "not clearly established". The coroner's office had been instructed by detectives not to discuss or comment on the case. On January 14, 2013, the Los Angeles County coroner's office offered a 10-page addendum to Wood's autopsy report. The addendum stated that she might have sustained some of the bruises on her body before she went into the water and drowned but that could not be definitively determined. Forensic pathologist Dr. Michael Hunter has speculated that Wood was particularly susceptible to bruising due to the drug synthroid which she had taken. Douglas Trumbull, director of Brainstorm, quit directing after Wood's death in 1981. In 2013, he explained that the uncertain circumstances surrounding her death were the main reason for this decision. He has since returned to filmmaking. In 2011, Walken hired a lawyer when authorities reopened the Wood case. Authorities stated that Walken is not a suspect. Wagner has denied any involvement in Wood's death. Los Angeles County Sheriff's investigators re-opened the case in 2011, 30 years after Wood's death. Her then-husband, Robert Wagner, was named as a person of interest in the investigation in February 2018. Delirious is a 1991 fantasy comedy film starring John Candy, Mariel Hemingway, Emma Samms, Raymond Burr, David Rasche, Dylan Baker, and Charles Rocket. The film used Prince's 1982 song as its title theme. The film was a critical and commercial failure. Not far out of New York, he crashes his car. The distraught sister of Natalie Wood wants answers about the legendary actor’s mysterious death more than 36 years ago. The Hollywood icon drowned during a weekend cruise in 1981 and her body was found the next day. Wood’s husband, Robert Wagner, has now been named by investigators as a person of interest. Inside Edition spoke to her sister, former Bond girl Lana Wood, about the tragedy in 2011. She said she wanted Wagner to answer her questions. “Tell me the truth!” she implored. Take a Tour Inside Natalie Wood's Infamous "Splendour"
Davern reached out to his old friend Marti Rulli, and little by little, at his own emotional pace, he revealed the details of his years in Wood’s employ, of the fateful weekend that Natalie died, and of the events following her death that prevented him from telling the whole story—until now. 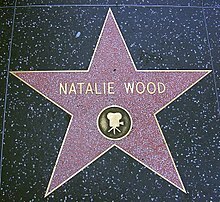 In writing Goodbye Natalie Goodbye Splendour my priority was to seek truth about the details surrounding the death of the legendary actress, Natalie Wood. Although my source and co-author, Dennis Davern, was the former Captain of the yacht, Splendour, from which Ms. Wood went missing that long ago night in November 1981, I also researched the professional investigation of Ms. Wood's death and found that her case may have been closed prematurely. Subtle details that got past the investigators are explored in this work. Dennis Davern was not only an employee of the Wagner family, but also a family friend. His observations throughout his tenure as Splendour Captain offer an insight into the Wagner family's private life at sea, and also into the tragic night Ms. Wood lost her life. Dennis Davern was an eyewitness to the circumstances leading to Natalie Wood's death. The man piloting the boat the night Natalie Wood died says he heard her and Robert Wagner arguing prior to her death. A boat captain says he, Robert Wagner and Christopher Walken concocted a story about the night Natalie Wood died. Davern initially backed up Wagner’s version of that evening’s events through a signed statement prepared by attorneys. Lt. John Corina of the Los Angeles Sheriff's Dept. said actor Robert Wagner's version of events portrayed to the media in the unexplained 1981 drowning of his wife, actress Natalie Wood, "don't add up" to what authorities have found.